With a startling display of force, Lynchburg, Va. FLW Tour pro David Dudley closed out his third (2008, 2011 and 2012) FLW Angler of the Year title on Saturday. Entering the final event of the 2012 season with a razor thin, one-point lead over Jim Moynagh and an eight point lead over Jacob Powroznik. Dudley sent notice to his competitors that he was serious on day one when he posted a 24-pound limit at Lake Champlain, and although he didn’t run away from eventual runner up Powroznik at any point during the week, he certainly showed no mercy to any of his competitors by grabbing the early lead, and eventually winning in wire-to-wire fashion. 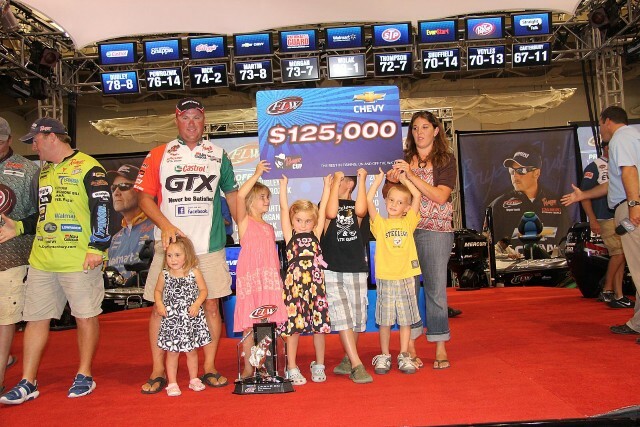 Champlain was Dudley’s seventh victory in FLW competition since 2002 and pushed his career FLW earnings to over $3-million. 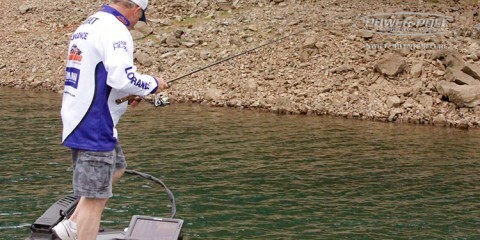 The final story of the tournament will show that the veteran pro went against the grain of the event by heading north instead of south and used a combination of shallow water power techniques and deeper water finesse techniques to win. The win was Dudley’s second of the 2012 season; he notched his first win of the 2012 campaign at Beaver lake in April, then followed it up with his commanding win this past weekend at Lake Champlain. By winning a pair of events in the 2012 season, Dudley joined elite company on that front. 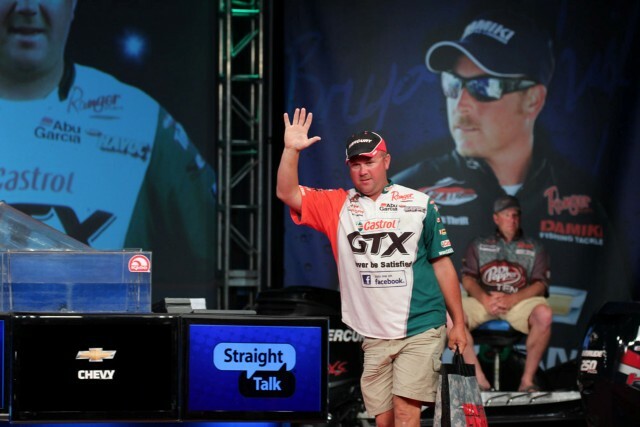 He became only the fifth angler to have won more than one event in the same FLW Tour season. 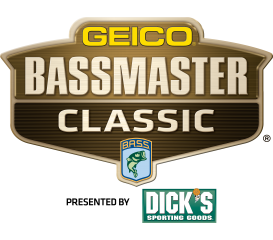 Along with Dudley, Florida’s Steve Daniel did it in 1996, Missouri’s Rick Clunn notched two wins in 2000 and National Guard pro Brent Ehrler, from Redlands, Calif. became the fourth to do it in 2010. Only Lexington, N.C. pro David Fritts has ever won three events in the same year; he accomplished that in 1997. Dudley’s wire-to-wire win in New York was his fifth win on the FLW Tour competition, which places him in a tie Fritts for the most wins in FLW Tour competition. The $125,000 paycheck that came with winning Champlain boosted his FLW Tour Level earnings to $1,953,910, which is likely to put him at the top of that category. 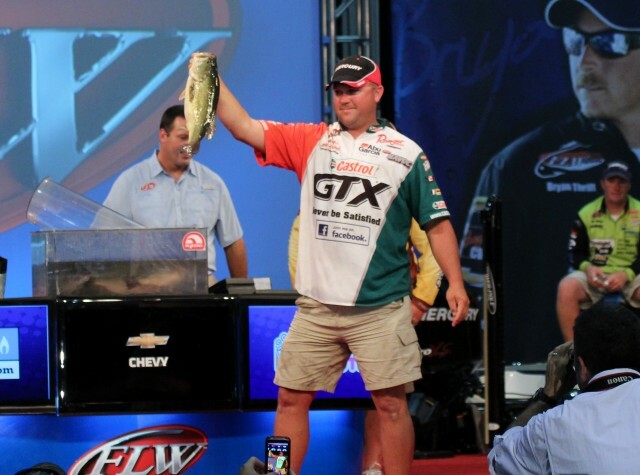 Also, just in case the legacy of winning events and cashing hefty paychecks wasn’t enough, Dudley winning his third FLW Tour Angler of the Year trophy places him as tops in that category as well; in a tie with Clark Wendlant of Leander, Tex., who won the award in 1997, 2000 and again in 2009. Dudley and Wendlandt are not only three-time Anglers of the Year, but they are the only anglers to have won the title more than one time. 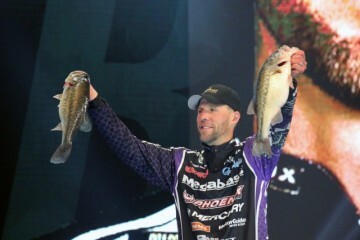 However, the one category that Dudley has over Wendlandt is that Dudley is the only angler to have won the title in consecutive years. 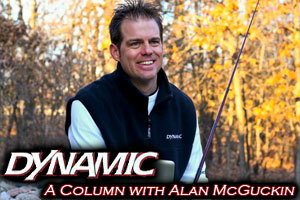 Advanced Angler’s Tom Leogrande caught up with him as he had wrapped up his Angler of the Year title and as he was getting his gear ready for the final day of the Champlain event. We wanted to find out what AOY number three meant to him; where he thought it put him in the history of FLW and what plans he had going forward.